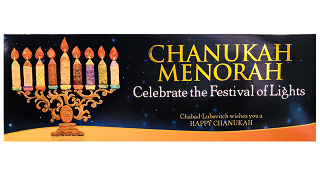 Come check out our array of Menorahs, Candles, Dreidels and more at the Chabad Jewish Community Center, 1190 Highway A1A in Satellite Beach. For appointments call 321-777-2770. Chanukah Kit includes: A Menorah, Box of Candles, Dreidel, and a box to hold it all. For additional options please click here to check out our affiliated online store . Our goal at Chabad is for every Jewish person in the Space and Treasure Coasts to light the Menorah on all 8 nights of Chanukah. Please help us realize our goal and spread the light by reaching out to others who are in need of a Menorah. 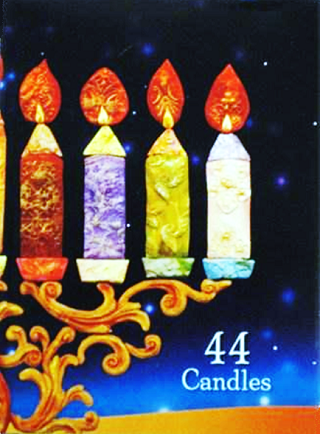 The price for our Menorah kits are only a suggestion to help cover their costs so please feel free to pay any amount or pick up a free Menorah.